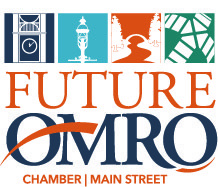 What is Future Omro Chamber | Main Street Program? Omro is proud to be one of Wisconsin's 30+ Main Street Communities. In August of 2011, Omro was announced as Wisconsin’s 37th Main Street Community. The Main Street Program has been in the United States for over three decades and is found in over 2,000 communities in 37 states, including Wisconsin. The Main Street Program utilizes the Four-Point Approach, which is a preservation-based economic development tool that enables communities to revitalize downtown and neighborhood business districts by leveraging local assets-from historic, cultural and architectural resources to local enterprises and community pride. Our downtown area is at the heart of the robust history of Omro and adds to the unique character of the City of Omro.